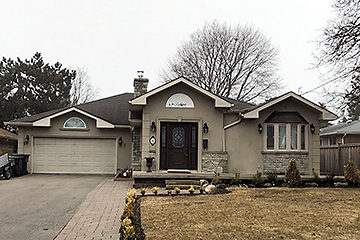 Magnificent Totally Upgraded Detached Home W/Attached 2 Car Garage (Apprx 3,500 Sf) *Covered Porch W/Stone Ent* 9' Ceiling **Amazing Functional Layout W/Hardwood Floor Thru-Out **Finished Basement, Open Concept W/ Wetbar* Grand Foyer W/Leaded Glass Door *Prof Landscaped Front & Back Yard W/Stone Patio, Evergreen, Flowers & Retainer Wall **Rounded Oak Staircase W/Iron Picket Railings **3 Skylites **Granite Countertops & Backsplash **Laundry W/Granite Counter. Extras:Ss Appls:2 Fridge,2 Dishwasher, Cook-Top, Wall Oven,2 Microwave, Washer/Dryer. Fireplaces, Elfs, Led L Bulbs Thr, Window Coverings/Blinds, 2 Furnaces, 2 Cac, Cvac, 2Hum, Sprinkler System, Oversize Gar W Storage Loft. Nanny's Qtr. 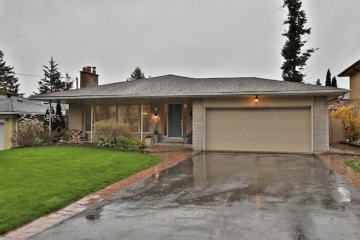 Beautiful Bungalow On Huge Premium Lot Located In Sought After Bullock Area! 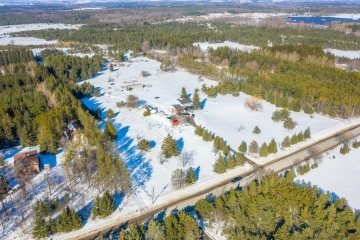 69'X156' Lot To Build Dream Home! Amongst Already Built Multi-Million Dollar Custom Homes. 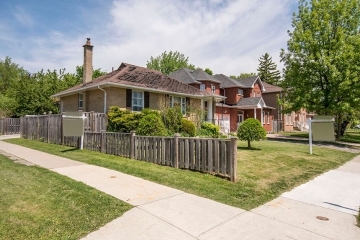 Short Walking Distance To Schools, Parks & Main Street Markham's Shops & Restaurants. Must See! 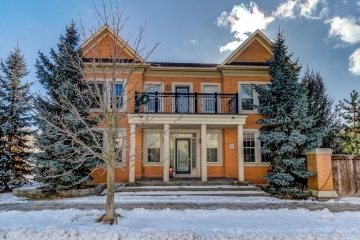 Huge Lot, Park-Like Setting,Lrg Trees, Door From Garage To Home, Lovely Home In The Heart Of Unionville; Walk To Historic Main St Unionville, Toogood Pond, Art Gallery & Library, Walk To 4 Schls ,Mins To Hwy7, 407 To 404. Go Station. 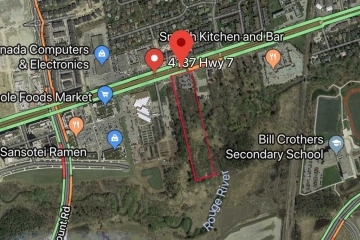 Duplex***Two Lots*** Build Two Luxury Custom Houses In The Middle Of Many Luxury Homes On The Street. 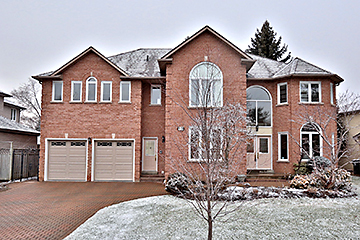 Premium Building Lot Nestled Within A Mature Community In Markham. 3 Self Contained Apartments With Great Income($4,350 Rent Income/Month) Greatest Location. Close To All Amenities, Chinese Supermarket, Longo's, Winners, Lcbo, Costco, Home Depot, Staples, Stabucks, Bus Station, Seneca, Park & Etc. A+ Schools, Buttonville Public School, Unionville High School. Never Seen In Toronto Before! Great Condo Alternative! Main Floor Patio In*Cilling Skylight. Fully Landscaped.Award Winning Vancouver Architect. Imported West Coast & European Finishes! Spectacular 4,000 Sq.Ft. Of Living Space On Hollywood Ave *Access To Bayview Villag Mall/Ttc! Soaring 2Stry Windows O/L Lush Bluebelt Sky!Stunning Feature Wall-Modern Home,Energy Efficient,Open Concept Great Room&Gourmet Kitchen. Multiple Windows,Sumptuous Baths.Built In 1999. 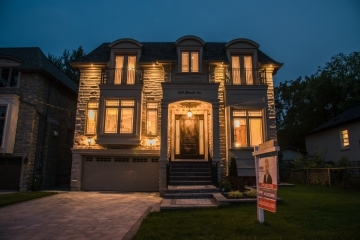 Incredibly Deep 50x300' Custom Built Home In Prime Location,Minutes Frm Yonge & Sheppard 4+1Bdrms W/Graciously Proportioned Principal Rms,6Bths*,B/Speakers+Sec System Alarm+Survellience.Open Concept Lving+Dining.Glass Stairs+Exquisite Skylight,Chef-Inspired Dream Ktchn W/Top Of Line Appls & Lrge Breakfst Area+Pantry,Opens To Large Fam Rm W/Custom B/I Shelves+Speakers.Flr-Celing Frplces.Mster Br W/Cstom W/I Closet.W/InlawSuite.Rare Large Backyard With Interlock. ***Fantastic Location Mid Town! Attention: Investors! Desirable And Fast Developing Neighborhood. 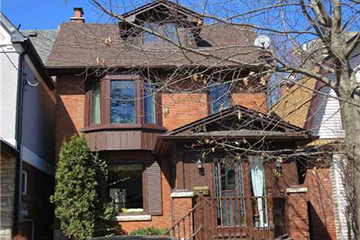 5 Minute Drive From Hip Restaurants On St. Clair West And Wychwood Barns Farmer's Market. 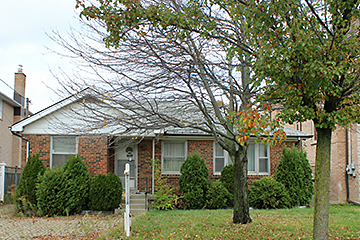 Quiet, Family Friendly Tree-Lined Street Steps From Oakwood Village Hot Spots. Short Commute To Eglinton West, And St. Clair West Station. Easily Accessible Ttc Routes Direct To Downtown, New Eglinton Lrt! 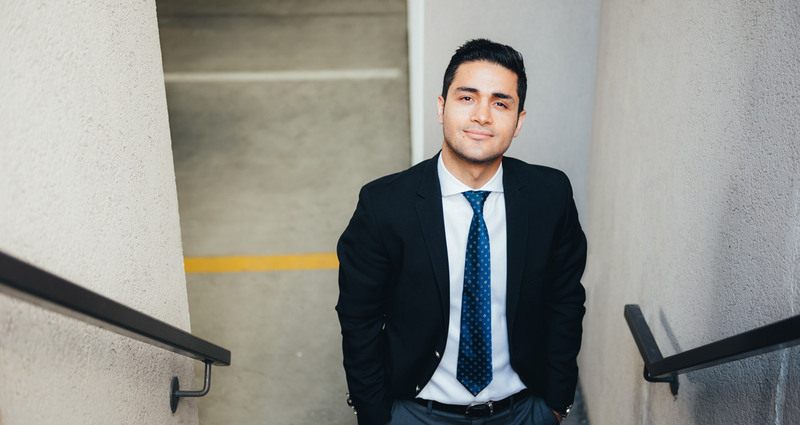 Rent, Live, Or Build Your Dream Home! 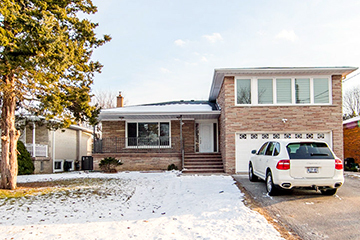 Wonderful Opportunity In A High Demand Neighbourhood. 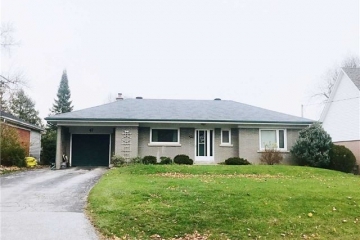 3+3 Bedroom, 3 Bathrooms, 2 Kitchens, Separate Entrance To Basement Apartment. 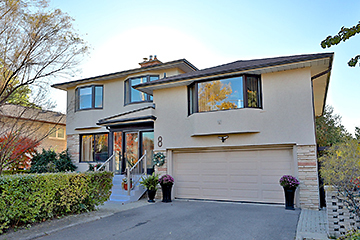 Walk To Centrepoint Mall, Schools, Public Transit, Restaurants. 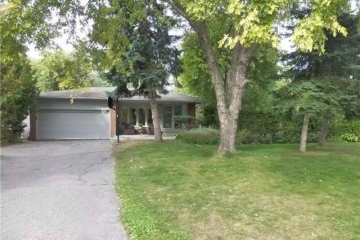 Generous 57x131’ Lot In A Prime Neighbourhood. 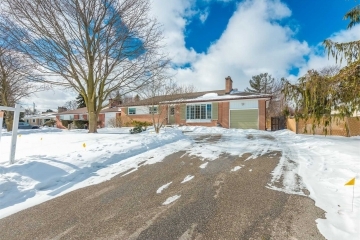 Beautifully Renovated Bungalow Offering Crown Mouldings Throughout, Hardwood Floors Throughout, Glass Staircase Panel, Fireplace, Dining Room French Doors, 2 Laundry (On Each Floor), 1 Car Garage, 6 Cars Private Driveway, Walk Out To Deck, and 1 Bedroom Basement Apartment With Separate Entrance. Suitable For End User, Investor Or Builder. ndless Opportunities!! 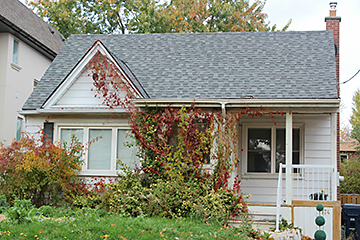 Live, Rent, Build + Sever This Extra Large 50'X130' Lot. 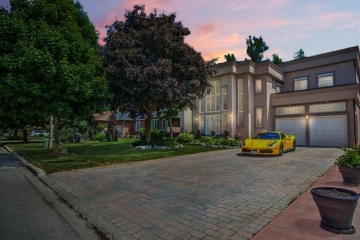 Potential To Sever Land Into *Two* Profitable Luxury Homes In Prime Willowdale Neighbourhood. 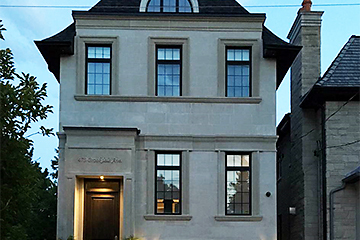 Surround Yourself Amongst Multi-Million Dollar Properties In Sought After School Districts Of Hollywood Public School & Earl Haig. 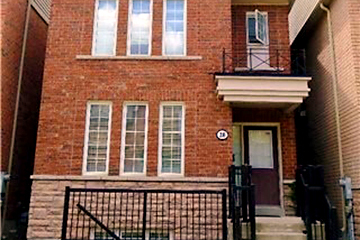 Central Location Minutes Away From Sheppard St, Yonge St, Subway Line, Bayview Village, Restaurants, Parks & 401 Hwy. Endless Opportunities!! 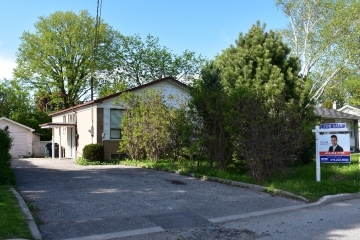 Live, Rent, Build + Sever This Extra Large 60'X111' Lot. 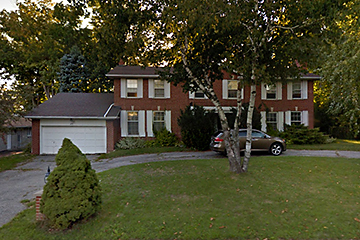 Potential To Sever Land Into *Two* Profitable Luxury Homes In Prime Willowdale Neighbourhood. 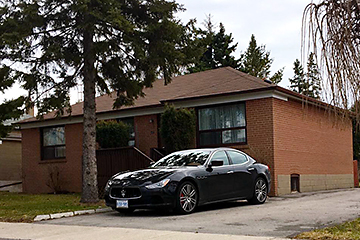 Surround Yourself Amongst Multi-Million Dollar Properties In Sought After School Districts Of Hollywood Public School & Earl Haig. 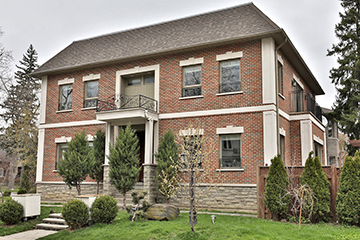 Central Location Minutes Away From Sheppard St, Yonge St, Subway Line, Bayview Village, Restaurants, Parks & 401 Hwy. 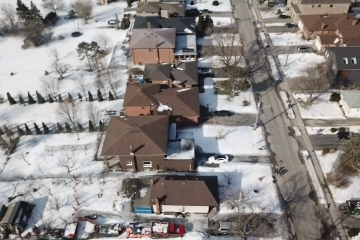 **Attention Investors And End Users- Rare Opportunity To Own A 62.5'X120' Liveable Home Surrounded By Brand New Multi-Million Dollar Properties! 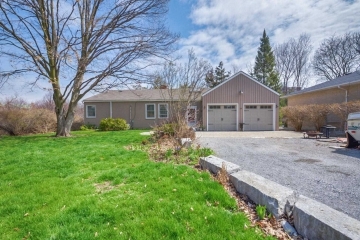 4+2 Bedroom, 2 Kitchens, 3 Bathrooms With Separate Entrance. 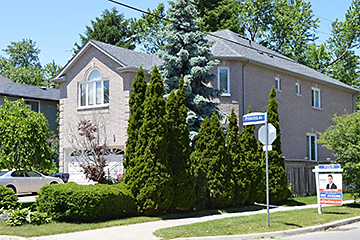 In A Prime Location, Short Distance Away From Yonge & Finch Subway Line, Top Schools,Restaurants, And Empress Walk! 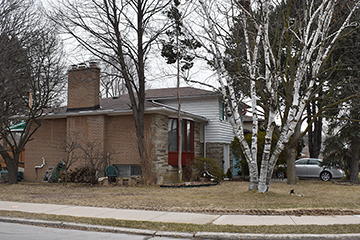 Well Maintained 50' Lot On A Prime Street In A Desirable Neighbourhood Of North York. Opportunity For End Users, Investors Or Builders Looking To Invest And Grow Along Multi-Million Dollar Homes. 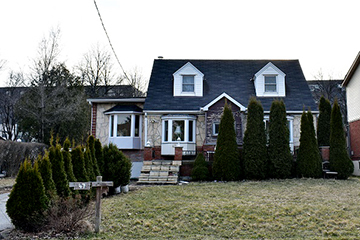 Wide And Deep Lot Offering 3 Bedrooms, 3 Bathrooms, 2 Kitchens, Separate Entrance And A Finished Basement. 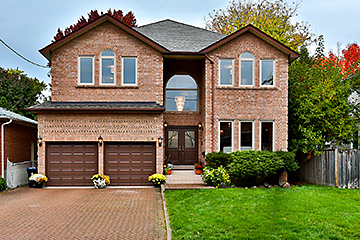 Mins To Finch Subway Station, Empress Walk, Restaurants, Top Schools, Hwy 401. Great Opportunity To Buy A Large 60X125Ft Detached House On A Quiet Crescent In A Prime Location. Rent, Live, Or Build. 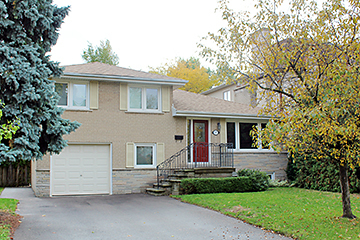 Hardwood Flrs Throughout Main Floor, Separate Entrance To Basement. 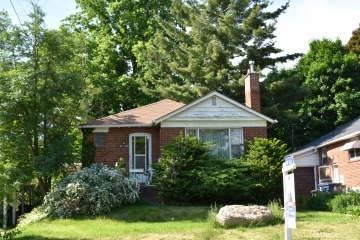 Self Contained Walk-Out Basement W/2 Bdrms, Kitchen And 3 Pc Washroom,Excellent Income Potential. 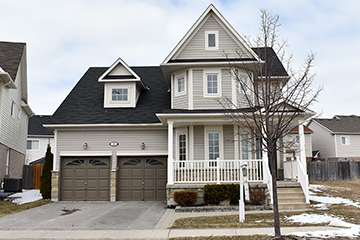 Desirable Home In Prime Location Of South East Barrie. End Of The Street Location W/Fields Of Grass! 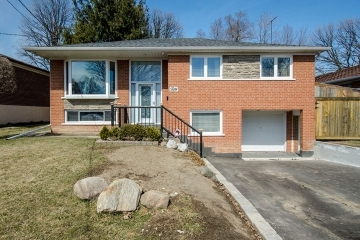 Immaculately Cared For 3 Bedroom Home Features Refinished Hardwood Floors Through-Out (Mn), Wainscoting, Tongue & Groove Ceiling, Upgraded Kitchen Cabinets, Master W/Full Ensuite & Walk-In Closet, Finished Basement, Laundry W/ Bonus Storage & Access To Garage, Fully Fenced Backyard W/ Extensive Unistone Patio, Oversized Pergola W/ Landscaping & Gas Bbq Hookup. Truly A Rare Find! 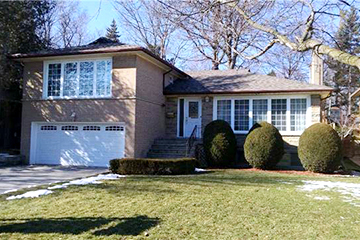 Huge Lot *60X125 Feet* In High Demand Area Of North York/ Solid Built Bungalow Nestled Amongst Million Dollar Homes. South Facing! Live In/Rent Now Or Build Later. 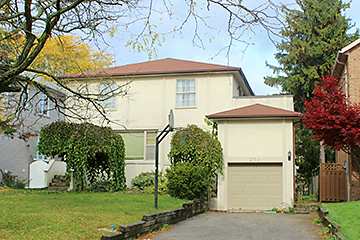 Just Minutes Away From Schools, Park, Synagogue, Ttc, Shopping And More!!.. Exquisite Custom-Built In Most Coveted Willowdale On Desirable Parkview Ave,Earl Haig High School,Magnificent Architectural Design,Exquisitely Appointed Finishes,Exceptional Natural Light Throughout,Impeccable Attention To Details,1+4 Fireplaces,Skylites,Security Sys,Home Lighting Control Sys,Gourmet Kitchen With S/S Appliances,Extensive Use Of Hardwood,Coffered Ceilings,Lavishly Landscaped & U/G Sprinkler Sys,B/I Speakers. *Pie Shaped Lot *Ravine View.77' Opens To 125'X143'* Deep Mostly Table Land! Best Street In Bayview Village Enclave. Amongst Multi Million Dollar Newer Residences. 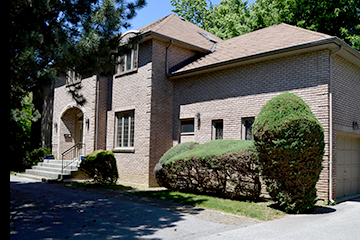 Earl Haig School District.Spectacular 4,200 Sq.Ft. Of Living Space On Cul De Sac,Ground Floor Walk Out. 4th Bedrm Could Be Office/Den! Mature Perennial Gardens And Sweeping Manicured Lawn. Well Maintained*New Hardwood Floor 2017, New Paint 2017, New Toilet & Vanits,Basmt Renovated. *New Lights 2017. Extras:S/S, **3 Fridge, Stove, Mcrov, Dishwasher, Dry Washer,Forced Air Furnace & A/C 2015/2016 Are Rental,Side Garage Door, Basement Walk-Up, Wet Bar At Rec.Lights Excl. ****Stylish Bayview Village Reno****Stunning Kitchen W/Granite Counter Tops & B/Splash & Breakfast Bar! 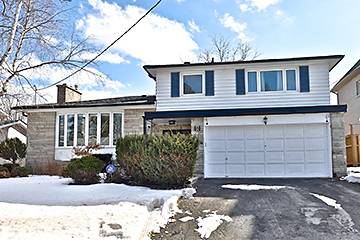 **New Extension, Reno'd Bathroom **Newly Painted, New Toilet**New Potlights & Huge Windows With Spectacular View Of Mature Treed Backyard! In-Law Suite In Bsmnt, Or Potential Income W/Sep Entrance! Walking Distance To Finch Ave. Extras:(New Deck W/New Roof, **New Windows & *New Door).S/S Fridge, Extra Fridge, S/S Stove, S/S Microwave, S/S Dishwasher,Washer/Dryer. 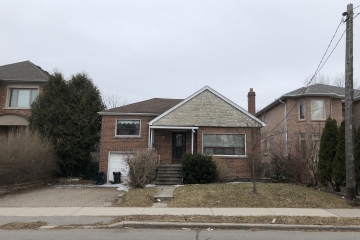 A Great Investment Opportunity For Investors Or End Users.Large Well Maintained 3 Storey Detached Home.Living/Dining & Family Room On The Main Floor.2nd Floor Laundry,Spacious 3rd Floor Walkout To Terrace.Walking Distance To **York University**. Close To Future Subway & Go Transit. Wow! Fully Renovated From Top To Bottom Side Split! Custom Built Kitchen With Granite Countertops! Top Of The Line Stainless Steel Appliances. Truly A Must See! 10Ft Ceiling In Living And Dining Room!Led Light Rare In The Area! Engineered Hardwood Floors! Beautiful Family Room! 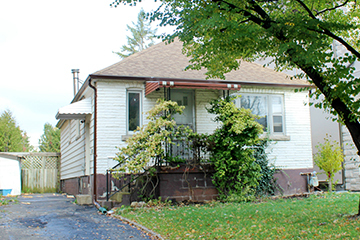 Separate 1 Bedroom Basement Apartment With Great Income! Do Not Miss Out On An Opportunity To Purchase A Beautiful Renovated Like New Property In A Demanding Location ! Great Lot Size! 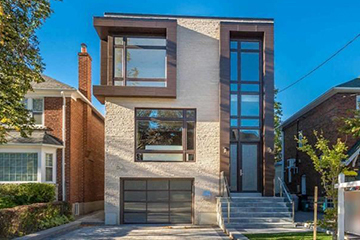 Breathtaking Family Home In Toronto's Central Neighbourhood. 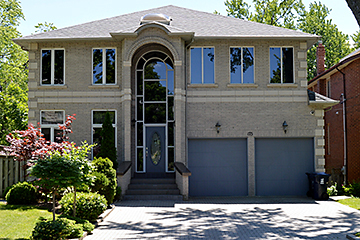 6000 Sqft Living Spce Ft. Opulent Dble Dr Grand Entr W/ 19' Soaring Clings, Drmatic Wndws & Skylight. 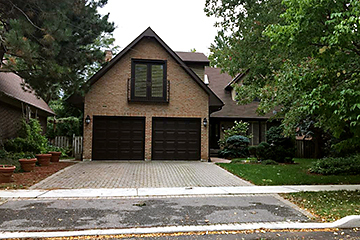 Mn Flr Graciously Szed Rms W/ New Paint, Hdwd Flrs & Pot Lghts.Lrge Gourmet Eat-In Ktchn W/Granite Cntertops & Centre Island.Luxurious Mstr Bdrm W/ 6Pc Ens + Sep Sttng Rm & Wood Frplce. Lrge Rec W/ Wet Bar, B-I Shlves, Frplc & Abve Grnd Wndws. 2 Additnal Bdrms In Bsmt + 4 Pc Bath. 2 Car Grge W/ 4 Car Drive. Sep Entrnce. 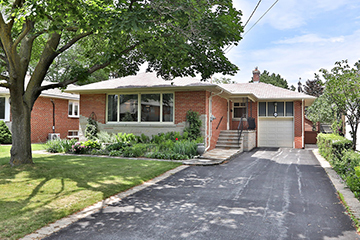 "Location, Location, Location" Fabulous Location In The Heart Of Willowdale. Live Or Rebuild. Survey And Drawings Are Done. Application Is Submitted To City. 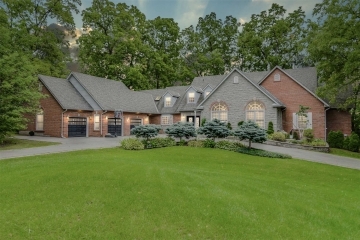 A Magnificent Gem W/ 5200Sq.Ft. + 1700 Sq.Ft. (Basement) Of Luxury Living Space. Full Panelling In Main And 2nd Floors With An Eye-Catching Skylight In The Center Of The House Which Natural Light To Your Home. A Spacious Master Bedroom W/ 7-Pc Ensuite & A Bright Skylighted W/I Closet With Marvelous Finishing Is A Memorable Spot For All Visitors. 13'-Ceiling Throughout Main Floor. 8 Security Cameras . Alarm System, 2 X furnaces, 2 X ac, 2 X humidifiers, 2 X hvr, Cac. 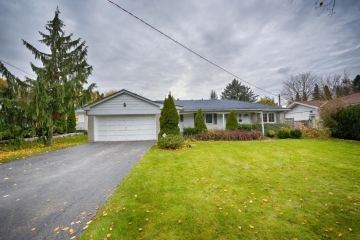 Great Family Home W/Separate Self Contained Floor For 2nd Family To Live In! 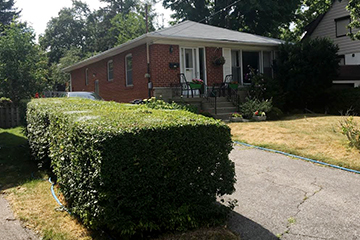 Great Size Lot In Great Street In Willowdale (52 X 135 Fr Lot), Located On A Child Safe Cul-De-Sac. 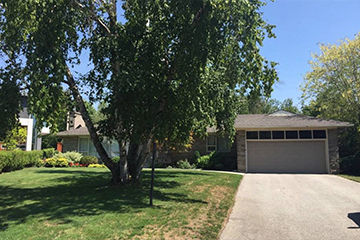 First Floor 3 Bdrms + Open Concept Large Living Area, Kitchen & Dining Room, Separate Door From Kitchen To Back Yard. 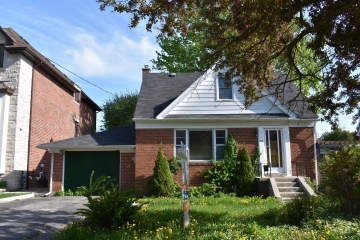 Fin Bsmt W/Separate Walk Up To Back W/ Kitchen, Living Room, 2 Bdrms, 3 Pc Baths. Show And Sell. Very Clean Home. Long Drive Way. Amazing Opportunity In The Neighbourhood! This Gem Is Nestled In Child Friendly Cul De Sac. 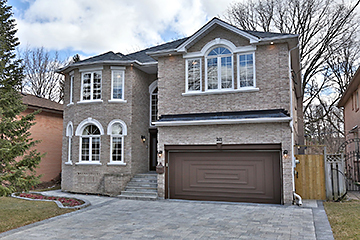 Exuding Stunning Finishes Thruout, Gorgeous Oak Hrdwood, Open Concept Design, Gourmet Kitch W/High End Appliances, Open To Family Rm W/Walnut Trim & W-Out To S/Facing Yard. 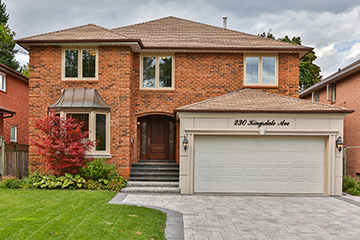 Master Offers High Ceiling, Walk In Closets, Sumptuous Ensuite. 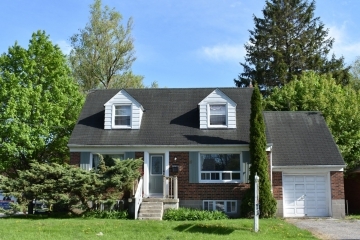 Basement Has Guest Suite W/Large Rec Room, W-Out To Yard, Radiant Flring Thruout. Steps To Avenue Rd, Shops, Parks. Not To Be Missed! Completely Renovated! Gorgeous Full Size Kitchen Has Maple Cabinets/Granite Counters! 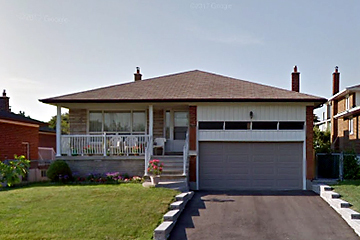 Rich Hardwood Floors(2015), Roof(2015)Laminate Basement Fully New(2014)/Vinyl Csmt Windows(2007)! 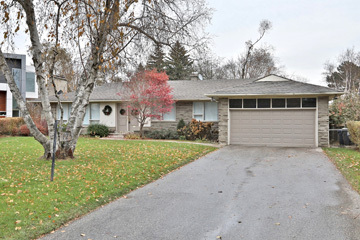 Separate Entrance To Large Modern Bsmt Suite-Family Room W/ Fireplace, 3 Bedrooms/2 Baths And Modern Kitchen! Steps To Ttc! Great For Inlaws/Students. Location, Location, Location! 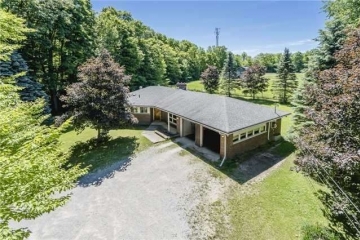 This Beautiful Wooded 100' X 190' Backing Up To River With Huge Table Land Is One Of The Last Properties In Hoggs Hollow That Provides The Buyer With The Option Of Remodeling And Living Or Demolishing And Building Their Dream Home. Back Yard Faces South And Provides One Of The Most Quiet And Peaceful Spots To Be Found Anywhere. 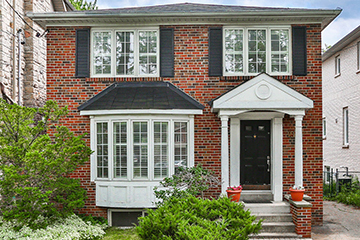 Executive Family 4-Bedroom Residence On Prestigious & Most Sought-After Old Colony Road. 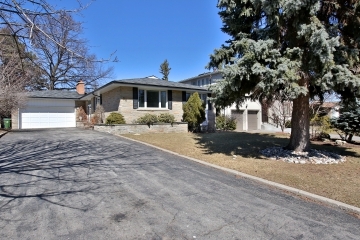 Nestled On A Premium 129 X 105 Foot Lot Amongst Multi-Million Dollar Residences. 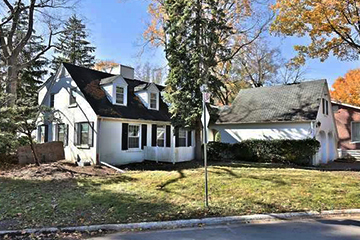 Build You Dream Home In This Exclusive Enclave, Renovate Or Move Right In To This Well-Appointed Home & Esteemed Locale. 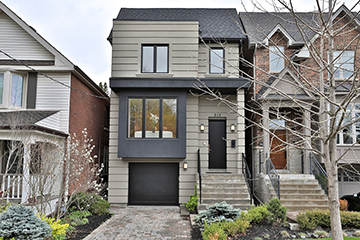 Exquisitely Designed And Totally Renovated Bayview Village Home. 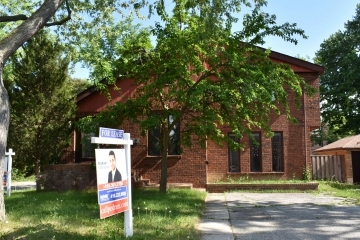 Rare Opportunity To Own Luxurious House Situated On 59.17 X 101.75 Ft Lot. New Gourmet Kitchen W/ Premium Quartz Counter Top, Custom Built Solid Wood Cabinets, Eat-In Central Island 2016, Premier Mahogany Hardwood Flooring Thrgh M Level/Lowr Level. 2016 Luxury Broadloom In 2nd Level Bedrooms, New Quartz Counter 2016, All High End Kohler Toilets, Beautiful Fully Fenced Private Backyard. Truly A Rare Find! 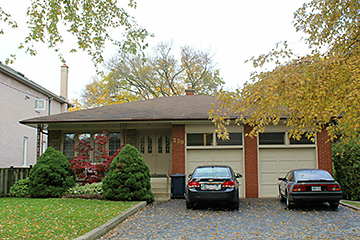 Prime Location In Willowdale ~ Walk To Subway & School. A Magnificent Building Opportunity. Built In 1957. 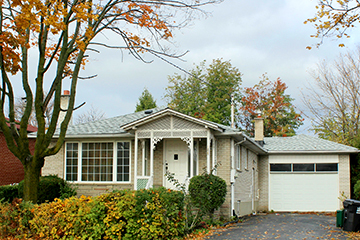 Det Bungalow, Live In Or Renovate To Add Your Personal Flair. Great Location! Tarion Warranty! 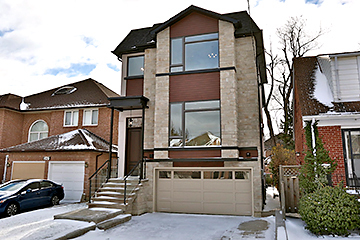 Magnificent Custom Built 4+1 Bedroom Smart Home On Sun Filling Lot Located In Willowdale's Most Sought After Street; Beautifully Designed Exterior With A Combination Of Natural Stone And Strong Aluminum Long Board,High Ceilings, Environment Friendly House W/Led Lights All Thought Out Of House, High Efficiency Heating/Cooling Systm, Manufacturer Lifetime Warranty For Plumbing Fixtures, White Oak Hardwood Floors, 2nd Floor Balcony With Wonderful View. Extras: S/S Fridge Kitchen Aid Range, Bosch Dishwasher. 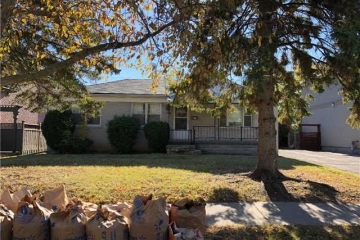 Lg Washers/Dryers, Garage Door Opener & Remotes, Gas Fireplaces W/Remotes, Beautiful Electrical Light Fixtures, Fully Installed/Operating Gas Water Heater/Flr Heating S, Hrv System. 3 Sky Lights. 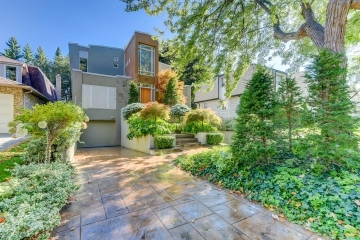 Spectacular & Exquisite Designed Bayview Village Home. Incomparable Plan & Views. 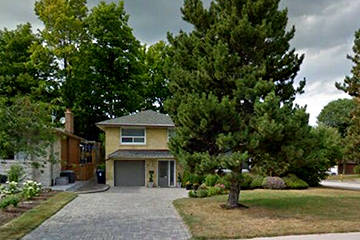 Toronto’s Most Quiet Area, Approx 6000 Sqft Living Space, 11 Ft Ceilings On Main Floor, Grand Marble Foyer, Oak Hardwood Fl Through-Out, Oversized Skylight, Exquisite Custom Built-In Cabinetry & Mouldings, 3 Fireplaces, Premium Granite, Huge Entertainment Room In Basement W/ Walk-Out, Surround Sound System, Custom Wet Bar W/ Fridge, Wine Racks & Granite Tops. Stunning Custom Masterpiece On Rare 62.5 X 135.66 Ft Lot! Less Than 2 Years Old, Unparalleled Luxury Finishes T/O. 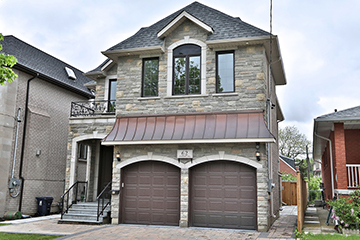 Exceptional Layout W/ Graciously Proportioned Principal Rms, Chef-Inspired Dream Kitchen Opens To Fam Rm W/ Custom Built-Ins. 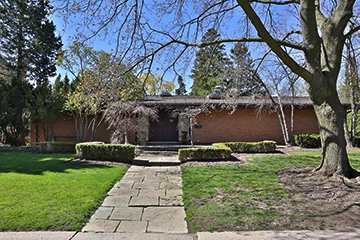 Master Br W/ Sep W/I Closet, 5 Br (2 Sep Mbrs), W/ 5 Individual Ensuites & W/I Closet, Main Flr Library & Sep Office, Circular-Shaped Interlocked Driveway. Finished Walkout Bsmt W/ 2 Entrances. Appx 6600 Sqft Living Space. Extras: **Appliances/Fridge, Stove, Mcrov, Dishwasher, Dry, Washer, /Window Covering, Tankless Water Heater, Comfortable Hot Water Heating. Separate Side Entrance, Gazebo And Garden House, Garage Door Remote, Fireplace*. (Permit Ready) Walk To Yonge St/ Sporting Life. 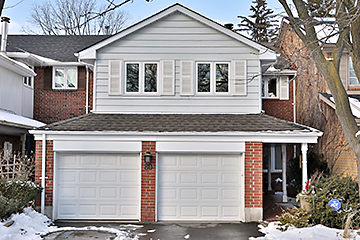 Lytton Park Charmer, Well Maintained & Mechanically Updated; W/ 3 Bdrms, 4 Baths, Large Master W/ Sitting Room & Ensuite, Finished Basement W/ Separate W/O To Pretty, Private, Deep Yard. 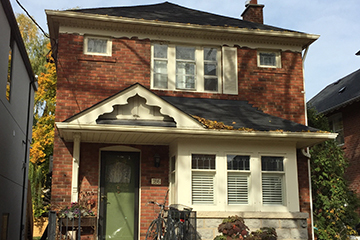 Family Friendly Street, Walk To Desirable J.R.R., Lpci, Ntci & St Monica's Schools & Yonge St Amenities + TTC. Equipped With Gas Generator In Case Of Blackouts. Extras: Jenn-Air S/S 4 Burner Gas Stove, Siemens B/I Dw, Maytag Freezer/Fridge W/ Auto Ice Maker, Sharp Microwave, Maytag Washer/Dryer, Champion Gas Generator, 80 Bottle Wine Fridge, Existing Light Fixtures, Window Treatments. A Most Delightful & Beautifully Tailored Family Home In Premiere Location On One Of Prestigious Area, Dramatic Brk Frnt Facade. Paneling, Elaborate Plaster Crown Moldings, High Ceiling, Lights (2016), All Windows (2014), Roof (2014), Herring Wood Flooring In L/D/L, Washer & Dyr (2014), Newly Painted(2016), New Hardwood Bsmnt, New Shades, 2 Skylt, Sauna, Earl Haig School, Top Hollywood Elementary, 5800 Sqf Aprx L/S. Extras: *S/S Fridge (2014), S/S Stove, S/S B/I Dishwasher, Washer (2014), Dryer. 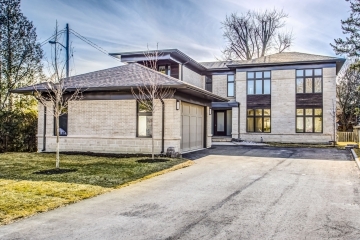 Very Impressive Rebuilt Home Boasting Spacious 4 Bedrooms, 4 Washrooms Of Uniquely Designed Interiors. 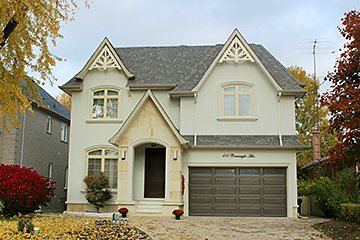 Built With High End Finishes, Excellent Workmanship With Exquisite Attention To Detail. Well Appointed Principal Rooms, Spa Bathrooms, Gourmet Kitchen And Wine Cellar. 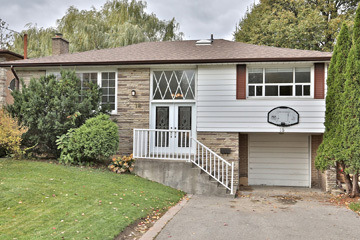 Lawrence Pk Hs, Bedford Pk Es, Steps To Wanless Park, Minutes To Subway. Close To Havergal, Tfs , Cresent. Yonge And Lawrence Shops And Restaurants. I consent to receive future communications. RE/MAX Realtron Realty Inc, Brokerage Independently owned and operated. Designed and programmed by The Brand Factory.